The new Tangenziale Est Esterna Milano – east Milan bypass – is the second major road opening in the region this year, but the benefits won’t be fully apparent until the still-uncertain foothills motorway gets the go ahead. Also, plans floated in Paris to banish cars from the city Bois as it is revealed the air is worse on the metro than the Peripherqiue. Gumball 3000 drivers to be alco-tested each morning. Eurotunnel says the migrant situation is worse now than the bad old days of Sangatte. The east Milan outer ring relieves A51-A52, and links to new A35 Milan-Brescia motorway. As of this week Milan should no longer be a complete car park. 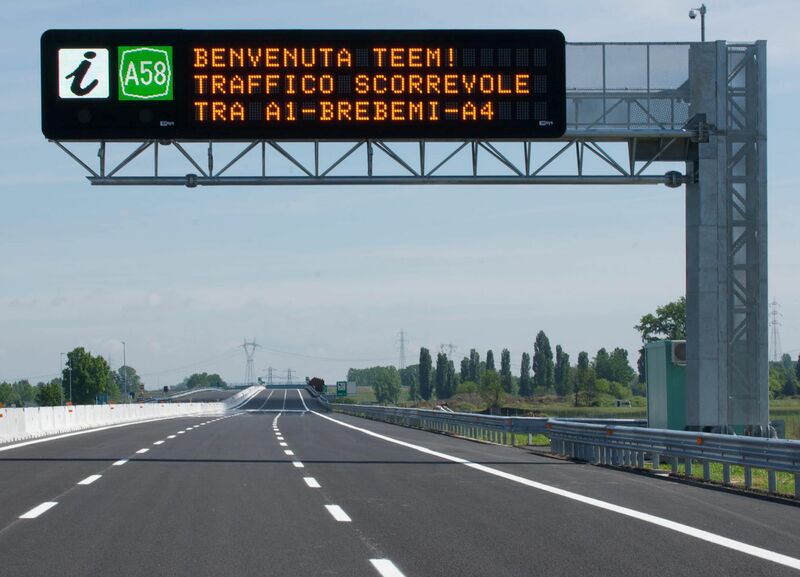 The A58 Tangenziale Est Esterna Milano (TEEM) – the east Milan outer ring road – opened for business on Saturday. It runs between the east-west A4 Turin-Venice motorway and the north-south A1 Milan-Rome, relieving the heavily congested A51-A52 inner east ring which serves Linate airport. 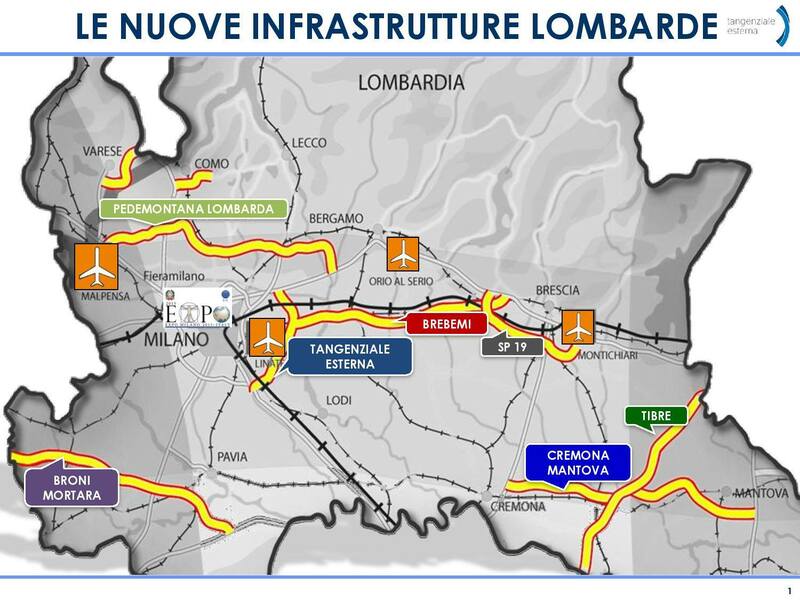 However he also said that the system for building new infrastructure needs to be reviewed, especially as the region embarks on several new projects including the ‘Pedemontana Lombarda’, a new link across the north of Milan between the A8 and A4 motorways (see map below). TEEM A58 runs for 32 km around Milan between the Agrate Brianza on the A4 in the north east and Melegnano on the A1 in the south. There are junctions for the SP14 and SP103 main roads into Milan from the east, and also – importantly – the A35 BreBeMi, Milan-Brescia motorway which opened last year. Try as we might, we cannot find the toll tariffs. As well as the lack of access, relatively high charges have led to lower than forecast – albeit growing – traffic on the A35. The opening of the A58 TEEM will feed more vehicles onto the A35 BreBeMi motorway but the road won’t fully come into its own until the SP19 A4-A21 link at the Brescia end is upgraded to dual carriageway, and the in-build A35 extension to the A4 is completed. Meanwhile, uncertainty surrounds the future of the A36 ‘Pedemontana Lombarda’ foothills motorway, as alluded to by Del Rio, above. The first stretch, between the A8 and A9 in the west, opened earlier this year but the rest is struggling for finance. Only when it is finished will drivers from central Europe be able to bypass Milan entirely on the way to Rome and southern Italy. roundup: FRANCE. ‘I am not anti-car,’ Paris deputy mayor Christophe Najdovski tells Le Parisien today, ‘but I think we should return it to its rightful place,’ as he reveals an aspiration to ban cars from the Bois de Boulogne and Vincennes, downgrade the Peripherqiue ring road to an ‘urban boulevard’ and cut the speed limit to 50kmh (at night). This is on top of cutting the speed limit to 30kmh in four new districts by the end of the year and pedestrianizing the ‘right bank’ of the Seine, already announced, as well as progressive bans on older diesel powered vehicles due to start this July, ostensibly to tackle pollution. However, it also emerged today (via thelocal.fr) that the air quality on the Paris metro railway is worse than on the Peripherique. GUMBALL 3000. Drivers at this year’s event, due to start in Stockholm on Saturday, will be tested each morning using Alcosense breathalysers. Twenty percent of drink driving convictions happening the morning after says the company. Meanwhile, the legal limit in Sweden – for instance – is 0.02%, a quarter of the UK level. EUROTUNNEL. Several hundred migrants are caught each day trying to board trucks on the A16 motorway, and at the Channel Tunnel operator’s French terminal, and the company spends €10m each year on security. ‘This is completely new, even going back as far as the bad old days of Sangatte, this level of migrant pressure is new in the area,’ Eurotunnel’s John O’Keefe told BBC South East today, following on from reports last week that new security measures at Calais, have – as predicted – shifted the problem further down the coast.